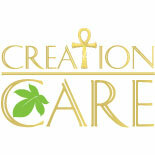 Creation Care is a non-profit organization with the goal of promoting healthy living through our natural park that features nature trails and sitting areas for peace, meditation and tranquility. Our green space includes a community garden, walking trails and playgrounds to encourage various levels of physical activity. The land provides play areas for children and large space for entertainment. Our working garden offers healthy food and herbs for the community and also serves as a year round teaching garden partnering with local schools to educate the next generation on life science, agriculture and entrepreneurship opportunities in urban gardening. For adults, we provide gardening tips, classes and hands-on experiences for maintaining their own garden onsite or at home.